Safety squat bars are one the best alternatives for the traditional straight barbell. Straight barbells are great and have their place in every gym, but the safety squat bar offers an alternative to challenge the body slightly differently and for those with poor shoulder mobility, shoulder injuries or throwing athletes. 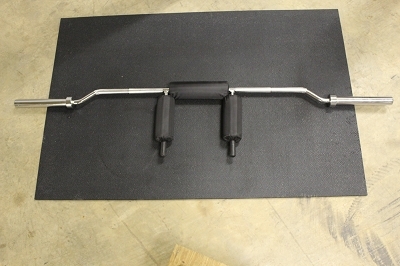 This safety squat bar has more camber which moves the weight over your center of gravity for a safer more balanced lift. The longer handles gives you more control and comfort during all ranges of motion.